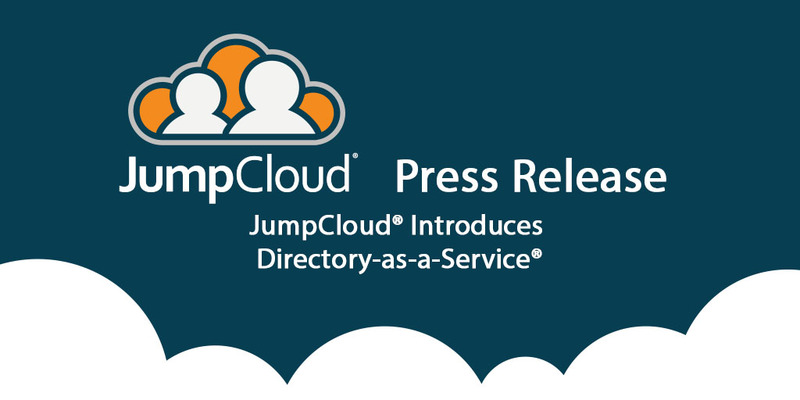 Boulder, CO – September 22, 2014 – JumpCloud® today announced the availability of the industry’s first Directory-as-a-Service® (DaaS) solution. Through a SaaS-based offering, organizations can move the last vestiges of their legacy, on-premise IT systems to a fully-managed cloud service, providing an alternative to solutions such as Microsoft® Active Directory® (AD) or Lightweight Directory Access Protocol (LDAP). JumpCloud’s DaaS is the first cloud-based directory with the ability to authenticate, authorize, and manage users, devices, and applications. The service acts as a single-user store for an organization or can extend existing AD/LDAP user stores to the cloud. Further, it integrates with single sign-on (SSO) providers without forcing IT admins to manage multiple directories. A single, secure user directory is a foundational element of any company. By moving the directory to the cloud, organizations are more agile, efficient, and secure. Further, DaaS enables IT admins to take advantage of major IT innovations, including cloud services such as IaaS and Gmail, and additional device/operating system combinations, such as Linux and OSX, among others. Organizations who need a user directory – With the combination of a hosted LDAP offering as well as an agent-based authentication mechanism, this offering takes the heavy lifting off of IT and places it on JumpCloud while enabling the customer to authenticate and authorize cloud infrastructure, servers, IT applications, and internal devices. Organizations extending their AD or LDAP to the cloud – With the adoption of Infrastructure-as-a-Service (IaaS), managing server users is largely a manual process and can create reliability and security issues due to the complexity introduced around networking and security configurations. JumpCloud easily, reliably, and securely extends an existing user directory to cloud-based servers and infrastructure. Organizations replacing AD – Many organizations have migrated to Gmail from Microsoft Exchange, but are still forced to leverage AD for continued management of devices (functionality not available with the G Suite Directory). JumpCloud’s DaaS gives IT admins a fully cloud-based solution that connects and manages users, their devices and IT applications.